Serving the local community since 1972, LS&G Contractors provides services to improve and maintain the exterior of your home. 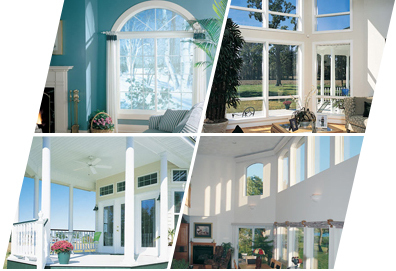 We specialize in the installation of replacement vinyl and energy star windows, sliding patio doors, French style doors, bay windows, bow windows, steel doors, fiberglass doors, and storm doors. Proudly featuring Alside and Acadia products, we will help make your home a source of great pride and comfort for you and your family for many years to come. We also expertly install siding, wooden decks, and Trex decks. We are proud of our history and reputation for superior workmanship and look forward to meeting with you soon to discuss your exterior home improvement project and provide a comprehensive and cost effective quote.